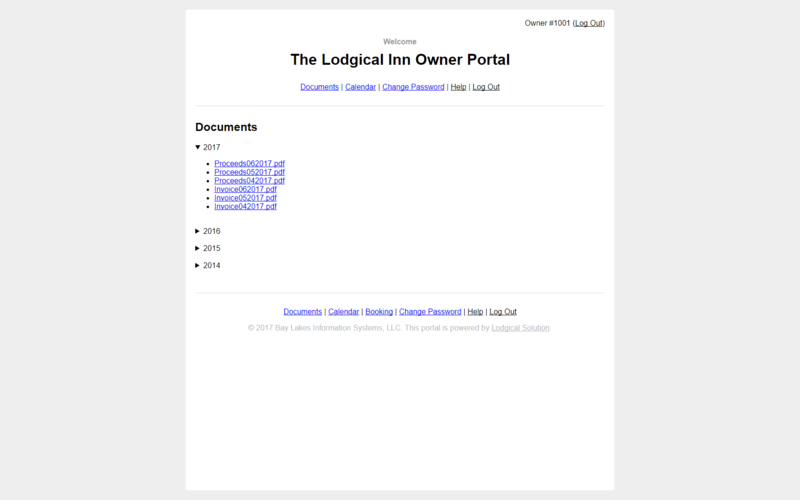 Lodgical Solution has always been a great property management solution for condo hotels. Today, we’re announcing a new feature that will make the Lodgical experience even better for those properties. It’s called the Owner Portal. The Owner Portal allows condo owners to log in from anywhere with an internet connection and view key information about their unit. 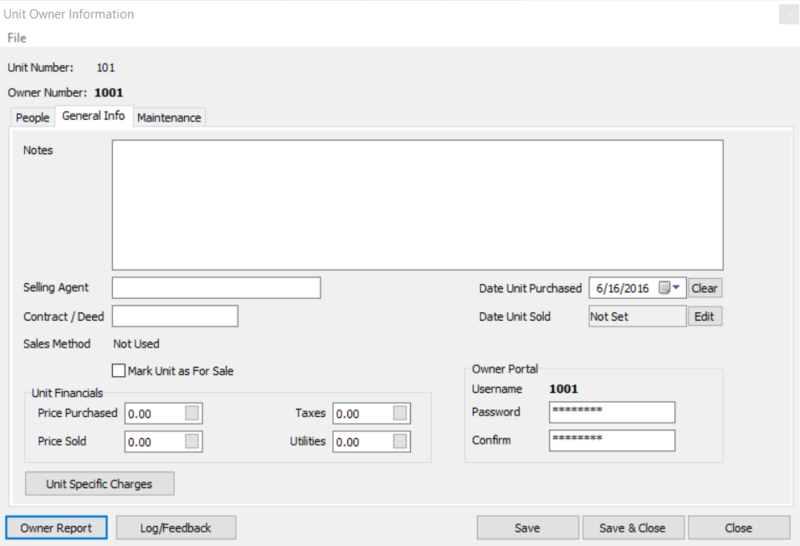 Owners can view proceeds reports and maintenance or dues invoices created by your property staff. 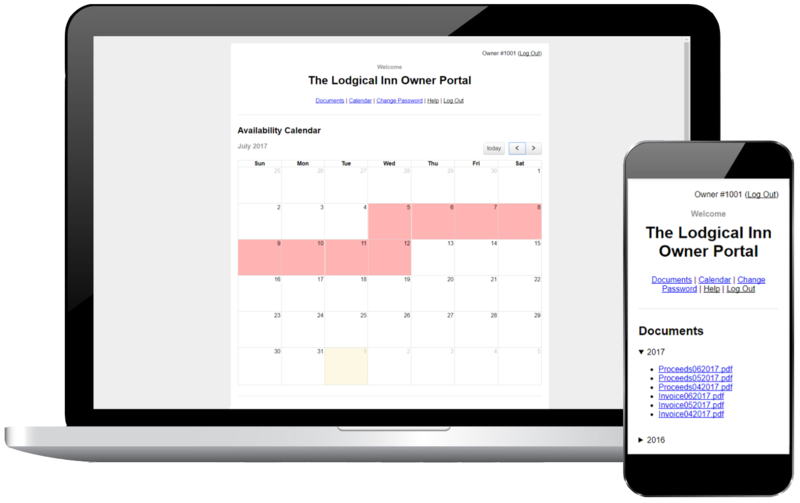 They also can view an availability calendar showing when their room is vacant. 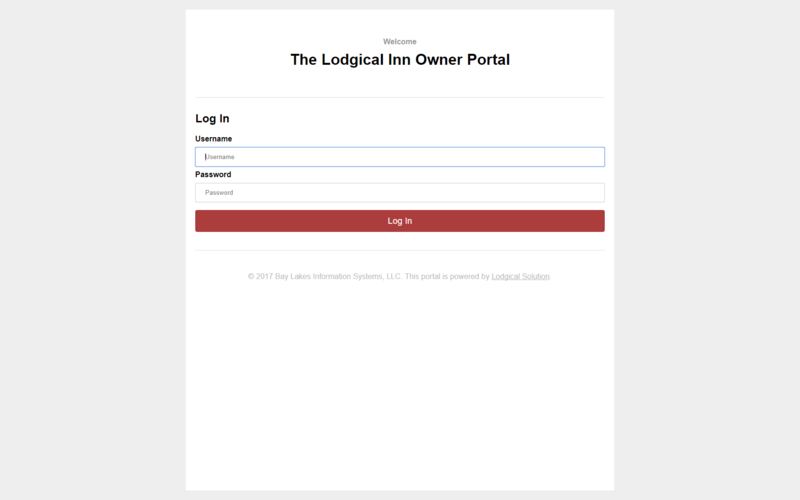 The Owner Portal is available now as an add-on to Lodgical Solution. If you’re interested in adding it to your property, please give us a call at 920.746.0606. Here are some key features of the Owner Portal for managers and for condo owners. The Owner Portal closely integrates with Lodgical Solution Condo Enterprise. Managers or other staff members can set up accounts for condo owners and export documents to owners’ accounts. Open Lodgical Solution Condo Enterprise and go to Utilities, Owner Configuration. Select the owner whose account you wish to set up and click Edit. The Unit Owner Information window will appear. Click the General Info tab. Enter a password for the owner in the bottom right, enter it again to confirm, and click Save or Save & Close. To export proceeds check reports or maintenance or dues invoices to owners’ accounts, follow these steps. The Monthly Proceed Statement will appear. 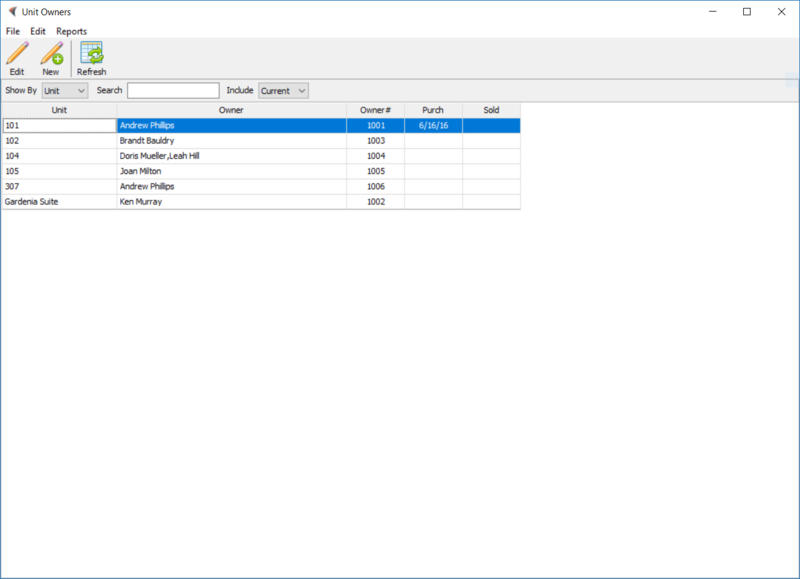 Select the month and room(s) for which you want to run the report. In the bottom right, change the “Export to Portal?” option to Yes. Then, click Refresh. 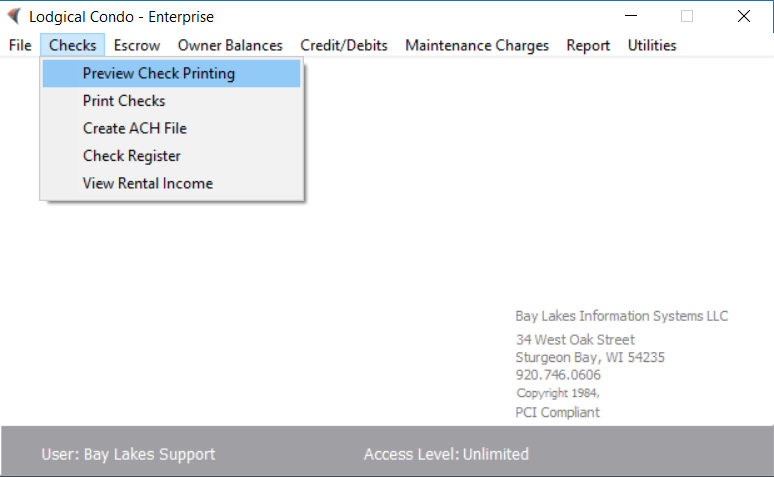 Note: The screen that appears for a maintenance or dues invoice will look slightly different than the one shown above. The process for exporting that report to an owner’s account is very similar. If you have any questions, please give us a call. Accessing the Owner Portal is very simple for condo owners. Just follow these steps. The login page will appear. Enter your owner ID and password. Once you’ve logged in, the Documents page will appear. 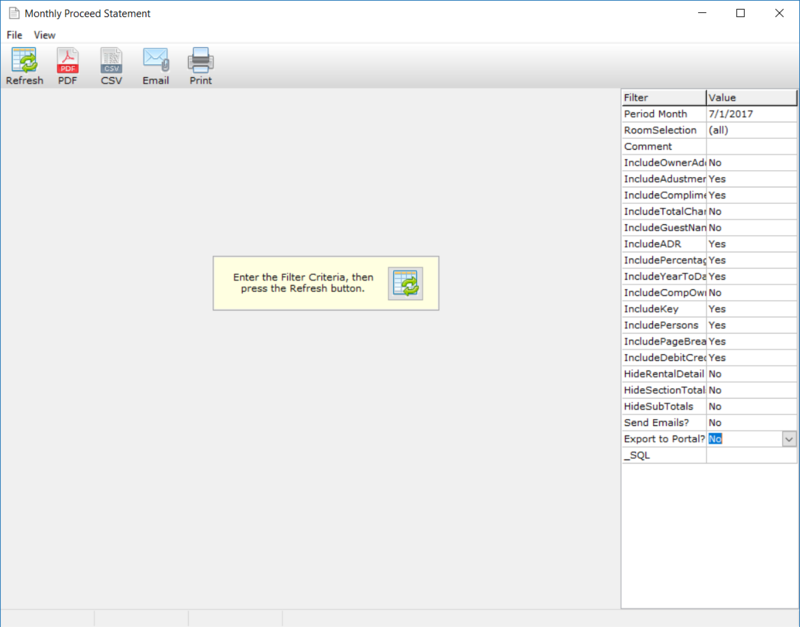 To open a document, simply navigate to the document you’re looking for and click the link. To view your availability calendar or change your password, click the links at the top or bottom of the page.